Deep state is engaged in a battle for survival against Trump. And all roads lead back to little boy Obama – who didn’t get his way. His legacy is a long list of Obama Scandals. He left his minions after his to try and take down President Trump! The list is long but the most important among them are John Brennan, James Comey, James Clapper, Michael Hayden, Susan Rice and Andrew McCabe. First, we had the information that Senator Rand Paul will be meeting with President Donald Trump on Monday afternoon to request that disgraced former CIA Director John Brennan have his security clearance revoked. 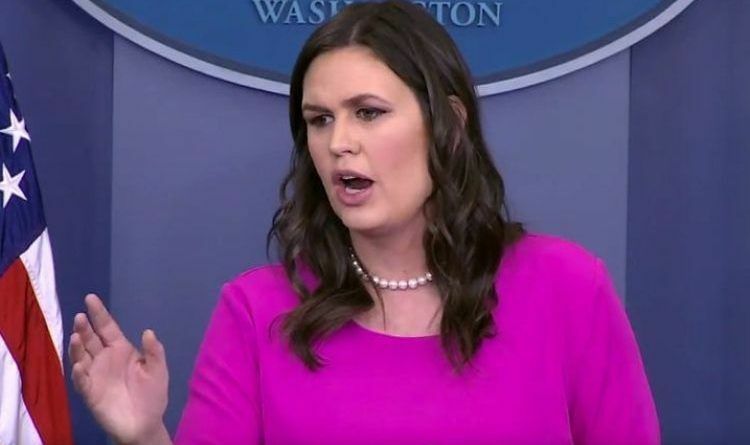 Sarah Sanders revealed that President Trump is reviewing the process to revoke the security clearances of several Deep State critics for abusing their post-government retention of security clearances by lying about Trump and Russia, as well as politicizing and monetizing their security clearances. And the list is long and it contains huge names such as former Obama CIA Director John Brennan, former G.W. Bush CIA Director Michael Hayden, former Obama National Security Adviser Susan Rice, fired FBI Director James Comey, fired Deputy FBI Director Andrew McCabe and former Obama Director of National Intelligence James Clapper. But when asked if Barack Obama or Joe Biden will lose their security clearance she responded with no! There is absolutely NO NEED for these people to STILL have security clearances other than to undermine the United States. I have to say I am a little disappointed that Obama is not on the list but one step at a time is fine I hope that he will be next! Share if you support President Trump in draining the swamp! Just Hours After Their Shares Went Into A Free-fall, Facebook Shareholders Try To Fire Mark Zuckerberg As Chairman!